13 – Speaking Subjunctively …..
“If I had known, I wouldn’t have come.” My friend Jenny used to teach French, and she says this sentence is a benchmark, an indicator. If you can say it in another language without having to stop and backtrack a couple of times, you can more or less call yourself fluent, or at least competent. So a few years ago when I was going to Adult Education down in Poole to do GCSE Spanish with my friend Hazel, we used to practice in the car each week, finding different ways of using it. And to the slightly bemused surprise of our Columbian teacher, Carlos, we inserted it into every conversation topic and into every essay. If we had to write about holidays, we would invent a bad experience so we could finish with “If I had known, I wouldn’t have gone.” If we had to talk about food, we’d insert some mythical restaurant meal that made us ill, so we could finish with “If I had known, I wouldn’t have eaten it.” It usually squeezed us an extra mark from Carlos. Trouble is, it doesn’t impress Spaniards! Unless they themselves are learning a language, or have an unusual interest in grammar, it is hard for them to distinguish between what is actually quite advanced for us learners, yet is perfectly normal usage for them. Frustrating! Still, the main reason for continuing to study the language is not to impress, but to communicate. And it’s up to me to give myself a metaphorical pat on the back when I’ve thrown in a particularly fine grammatical construction, because nobody else will! So – back to that sentence. 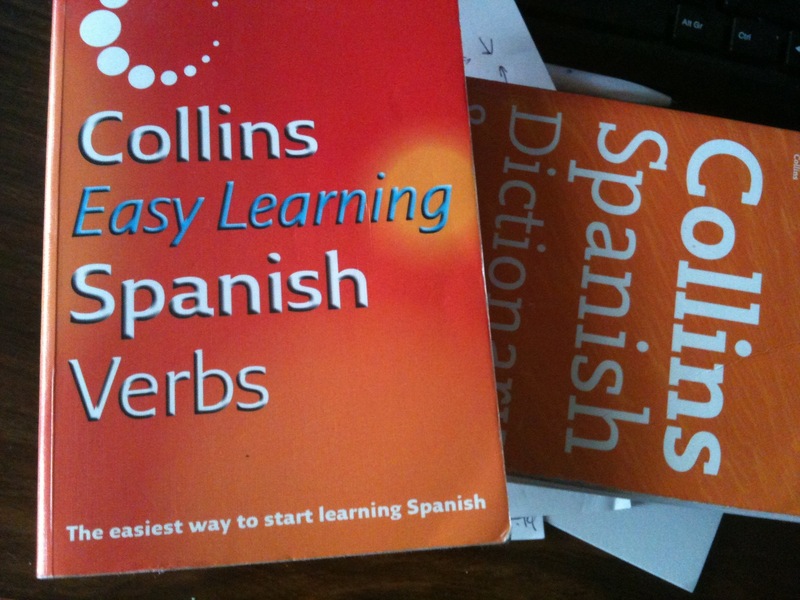 “If I had known, I wouldn’t have come.” “Si hubiera sabido, no habría venido.” Well-constructed as a learning tool – demonstrating the subjunctive and the conditional tenses, and using two separate “rungs” on the haber “ladder” that starts with the nice and easy perfect tense “he comprado, he comido, he vendido” – I have bought, I have eaten, I have sold. “If I had known, I wouldn’t have come.” Once learned, easy to adapt to a wide variety of situations and uses: If I had known, I wouldn’t have eaten it. If I had known, I wouldn’t have bought it. If I had seen it, I wouldn’t have crashed into it. If I had done it, I wouldn’t have told you. But, while appreciating that original sentence for helping me progress my language skills, I must say it annoys me. It fundamentally oozes negativity. It hints at mistakes made, at wrong choices, at regrets. If I had known, things would have been different. If we hadn’t gone skiing, I wouldn’t have broken my leg. If only I’d known, everything would have been alright. If only I’d had the foresight, I wouldn’t have bought property / shares / a company making cassette players, just before they became worthless. If only we’d known that the pound was going to buy us fewer Euros, we wouldn’t have retired to Spain. If only. So it’s a sad sentence. But sentences are only collections of building blocks. The words are the constants, their meanings largely fixed, and the great joy of language is choosing which words to use and in what order – the construction of a phrase. This is what gives us the flexibility to use words to express feelings of negativity or positivity. To focus on what went wrong, or on what went right. Gazing out of my window across higgledy-piggledy roof tiles towards the craggy Axarquía mountains, I look at that sentence one last time. “If I had known, I wouldn’t have come.” I see it now not as one unit, but as separate parts to be deconstructed and rebuilt as I like. I pluck out the negative straight away and metaphorically toss it out of the window. “Si hubiera sabido, aquí habría venido más temprano.” If I had known, I would have come here sooner. I liked your piece. Negativity that’s completely pointless – if only; I should have; if I’d known…..I do regular battle with those and have been trying to erase them from my vocabulary, as they’re futile. Rare to find an article about grammar that is also about our outlook on life. Have a good week! Oops – yes, thanks Annie – FEWER euros! Sorrreeeee ……. Tamara, sixteen years here and I´ve never said ´Si hubiera sabido, no habría venido.´ I´m not sure whether it´s my lack of fine tuned grammer or that I´ve never had cause to regret anything! Or perhaps it´s because I´ve learnt the language by speaking it and have never heard any Spanish say that, except via English lessons and their text book learning.